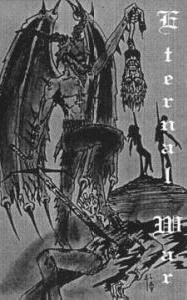 They released two demo-tapes in 1999: 'The Black Horde Reigns Supreme' and 'Eternal War'. In 2000 they released another tape, ‘Only Dead Is Real (A Tribute To Dead of Mayhem)’. Impius and Arcanus also play in Inner Helvete.